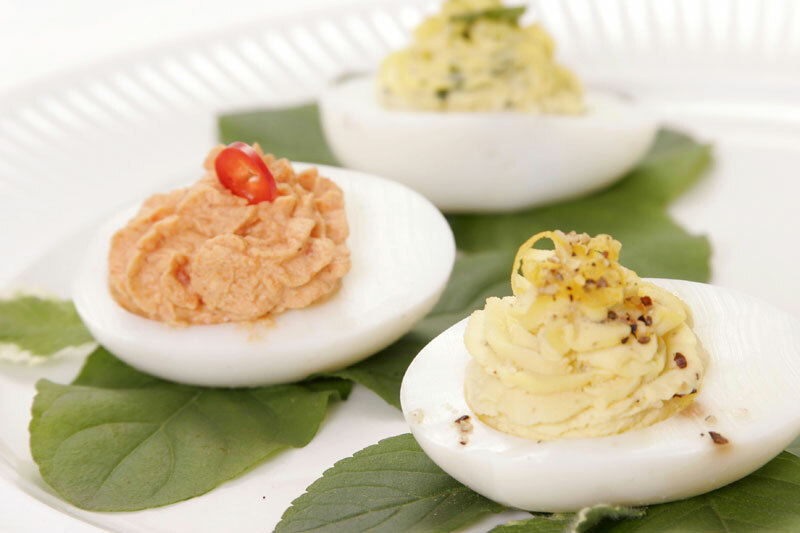 What better way to begin a summer barbeque than a platter of chilled, delicious deviled eggs? Having a variety of tastes is a great way to please everyone without having to spend the whole day in the kitchen making a multitude of different dishes. 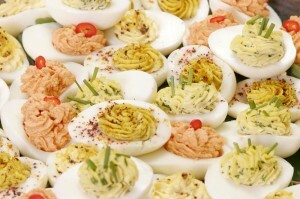 Peel hard-boiled eggs and cut them in half, lengthwise. Remove yolks and put 6 yolks in each of three bowls. Set whites on plate and sit aside. Mash yolks with a fork. Add mayonaise and other ingredients to each bowl separately and stir to combine. Either spoon fillings into eggs or pipe with an icing bag and tip. 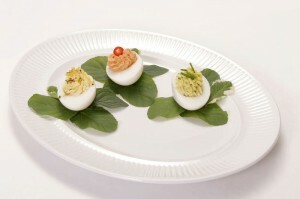 Garnish with complementary garnishes. Chill in fridge until ready to serve. Lay the eggs in the pan and add cold water, making sure it covers the eggs by about an inch. Set over high heat and bring just to the boil; remove from heat, cover the pan, and let sit exactly 17 minutes. egg. Remove eggs, and place back into the ice water. step for 15 to 20 minutes. Chilled eggs are easier to peel, as well. in an uncovered container, for 2 to 3 days. · The lemon-pepper and fresh herb eggs were my favourite – the spicy roasted red pepper were good, but the taste took just a bit of getting used to.